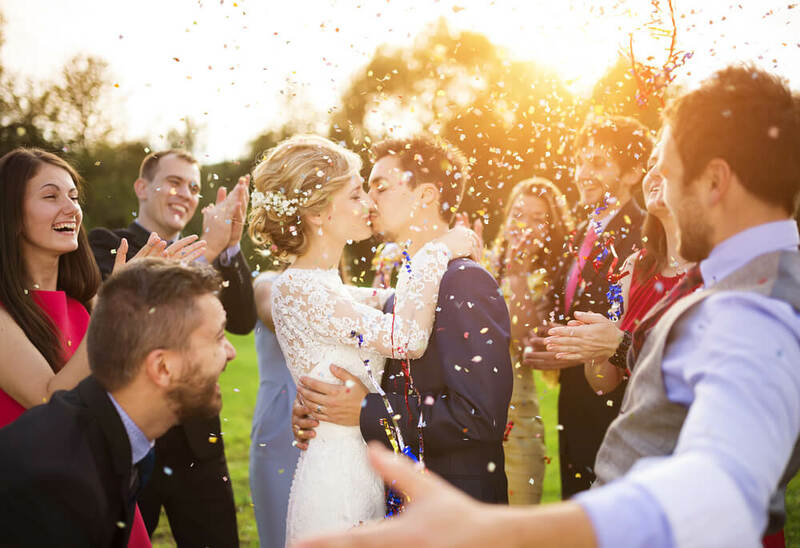 How To Make Your Wedding Guests Happy | "DiBurros"
Do you want to make your guests feel like they just attended the wedding of the year? Here are a few things all guests secretly want from a wedding! Have you been to a wedding where the reception was being dragged on and on, where the food was taking forever to arrive, or where the guests were getting tired of sitting? To avoid grumpy guests, make sure that your wedding is planned in a seamless timeline and a consistent flow of events from the ceremony, to cocktail hour, to reception. Sure enough, your guests are excited to hear the vows, but realistically, they can’t wait for the reception part. So, keep the ceremony short and sweet to retain everyone’s attention. Stick to just two or three speeches. If you invite many people with children, you can organize a designated kid’s room, an area with crafts, or some other form of entertainment for the little ones. The parents will be delighted! This factor applies in so many ways, from the temperature of the venue or the outdoor facility to the amount of personal space your guests have. It gives everyone an opportunity to relax during the festivities. Let them know beforehand if your wedding has a particular theme, requiring a specific dress code. Think of what you’d like to know in advance as a guest, and try to accommodate everyone with what they’d hope for. Keep your diverse groups of guests in mind when planning your reception. Seat your college friends by the bar. Create a quiet lounge area on the opposite side of the room for elderly family members. Make sure there’s entertainment for the kids. The key thing to remember – comfortable guests are happy guests. And plenty of it! Luckily, DiBurro’s Function Facility has nearly a century of experience in catering, and various menu choices to choose from. Your guests will absolutely appreciate an open bar since everyone loves free booze. If you want to get all your guests up and dancing, make sure to compile a playlist with music that everyone knows and loves. Ultimately, the music creates the party atmosphere, so pick tunes that span the generations and appeal to every taste. Some of your guests might not know how to dance. The solution is to offer alternative entertainment, such as a photo booth, some lawn games, a pool table, etc. Your dance-averse friends will thank you. Make sure to preserve some memories and book a wedding photographer.